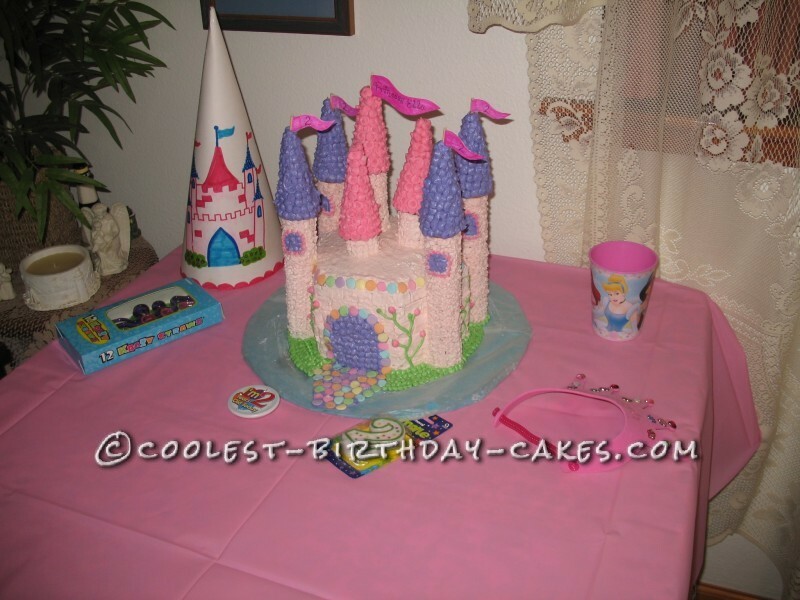 The princess castle cake is baked in a hexagon pan and is three layers tall. This is decorated and then the “towers” are added. 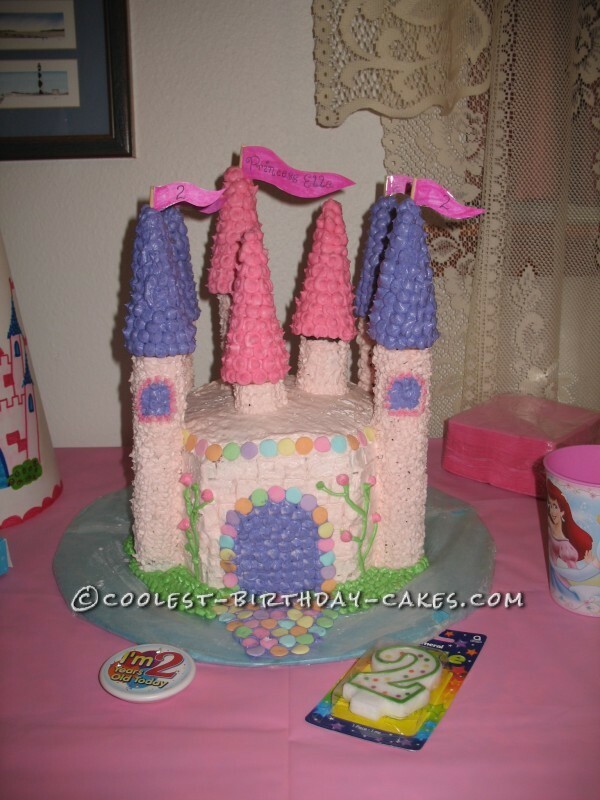 This being the first castle cake I ever made, the towers are paper towel tubes wrapped in wax paper to keep the icing from softening the cardboard. The roofs are sugar cones decorated in icing. This worked fine but wouldn’t recommend traveling with it. 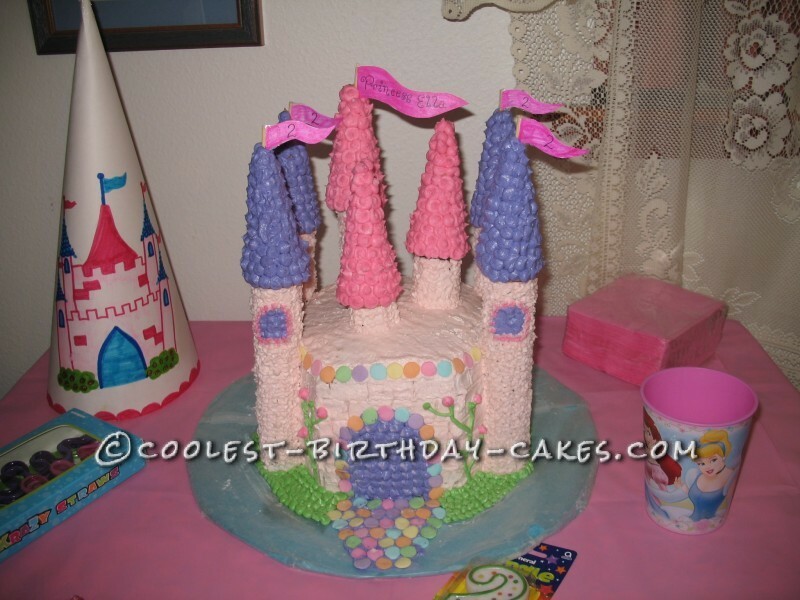 On my second castle cake the towers were regular cones open ends apart and dipped in melted colored white chocolate. The roofs were sugar cones dipped in melted colored white chocolate and then rolled in colored sugar. 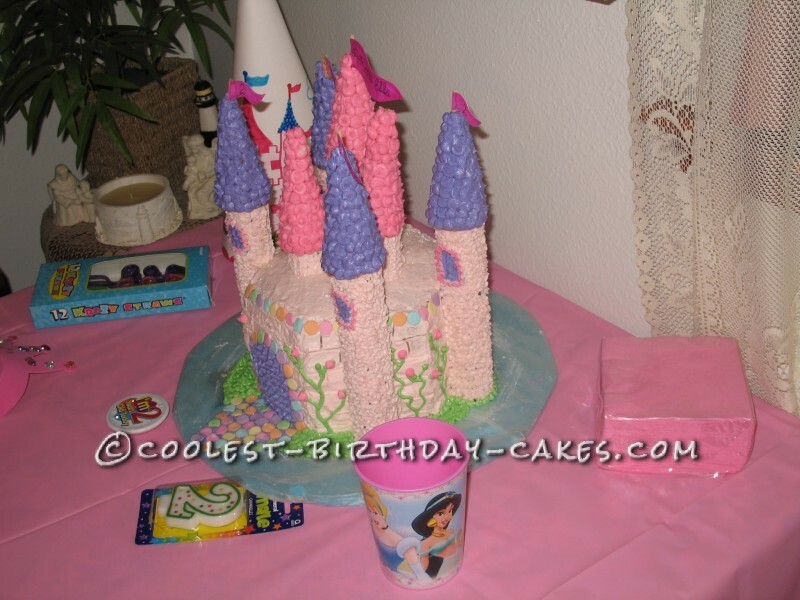 This traveled really well because the towers could travel laying down and I didn’t have to worry about messing up the icing when placing them. I finished decorating with pastel candies and paper flags on toothpicks. If you are using flags I recommend making a small hole in the cone prior to decorating it. Birthday cake idea Posted by Melissa D.